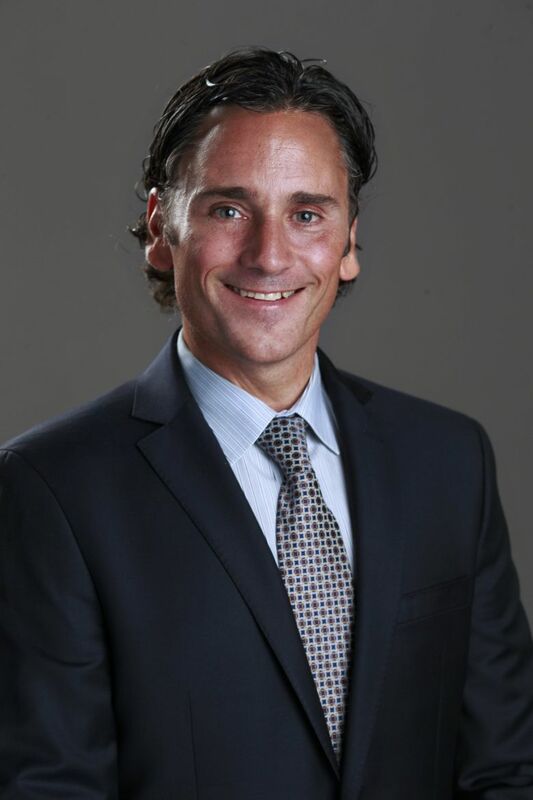 Longtime Vancouver Canucks executive Victor de Bonis has been hired by NHL Seattle to be chief operating officer of its incoming expansion team expected to be awarded next month. It was also announced that Ken Johnsen has been appointed Construction Executive for Oak View Group's planned KeyArena renovation and NHL practice facility at Northgate Mall. Former Vancouver Canucks chief operating officer Victor de Bonis has been hired to fill the same position for Seattle’s expected National Hockey League expansion franchise. Former Vancouver Canucks chief operating officer Victor de Bonis will serve in the same capacity for Seattle's incoming NHL franchise. A team is expected to be awarded at the league's board of governors meetings next month in Sea Island, Ga. The Seattle Hockey Partners group, known as NHL Seattle, announced the hiring of de Bonis on Monday. At the same time, it was announced local construction magnate Ken Johnsen has been appointed Construction Executive for Oak View Group’s Seattle office in its $700 million KeyArena redevelopment as well as the building of an NHL practice facility at Northgate Mall. The NHL is expected to announce the awarding of a 32nd franchise to the NHL Seattle group at the league’s board of governors meetings next month in Sea Island, Ga.
De Bonis had spent 23 years in roles with the Canucks, their parent company and Rogers Arena in Vancouver before leaving in March of last year to pursue what he called “a new challenge in my career.’’ He had been the team’s COO since 2007 and also served as its alternate representative on the NHL’s board of governors since 2010. He and NHL Seattle president and CEO Tod Leiweke worked together with the Canucks from 1994 through 1999. In February 2014, de Bonis met in Vancouver with a traveling “trade mission” of Seattle sports business officials exploring marketing opportunities between the two cities. At the time, the NHL was keen on putting an expansion team in Seattle as soon as a deal could be reached between the city and entrepreneur Chris Hansen to build an arena in the Sodo District. That arena never happened and it would be nearly four more years before a deal to renovate KeyArena was finalized last December and the league announced it had taken an expansion application from NHL Seattle. But during that 2014 meeting with the Seattle delegation, de Bonis talked up the importance of having a team in the Emerald City, saying the future rivalry mattered to the Canucks and would be beneficial to their business.